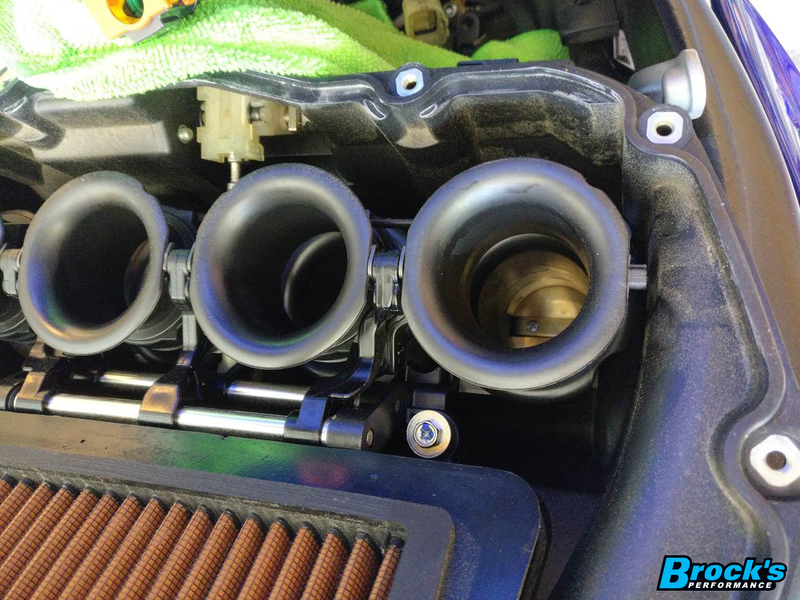 The above image is from a customer, directly to Sprint Filter in Italy. I recently purchased a P08 air filter for my 2011 Yamaha R6. After about 5000kms I decided to clean out the filter and upon removal, I found a coating of dirt/dust all over in inside of the air box. Wiping it with my finger left a black/yellow residue of pollen and dirt. This is highly concerning because when I replaced my OEM filter with this P08 filter there was little to no dust at all inside the airbox. I made sure that the filter was seated correctly and securely fastened. The dirt even seems to reside right behind the filter itself on the clean side, as pictured in one of the attached photos. Please contact me asap as I do not want the possibility of damaging my engine any further. Sprint Filter asked me personally to look into your issue. What you show here, while harmless, would certainly be a bit concerning to the average enthusiast. Which lets you know it has been scrutinized by teams engineers for many years to gain approval. So, let’s see what could be happening in your situation. It appears that you live in an area with an exceptionally high pollen count? Perhaps exceptionally fine road dust or farm dirt also? Because Sprint Filters are so easy to clean, we would suggest a cleaning every 2K km as opposed to 5K. Motor oil change intervals can remain the same, but please be diligent. Additionally, this fine debris could be making its way around your filter. Upon installation, please apply a thin layer of petroleum jelly (or silicone grease) on the ‘dirty’ side of the filter mating surface (not the polyester filament) where it meets the airbox. This can help prevent exceptionally fine debris from making its way around the perimeter of the filter. 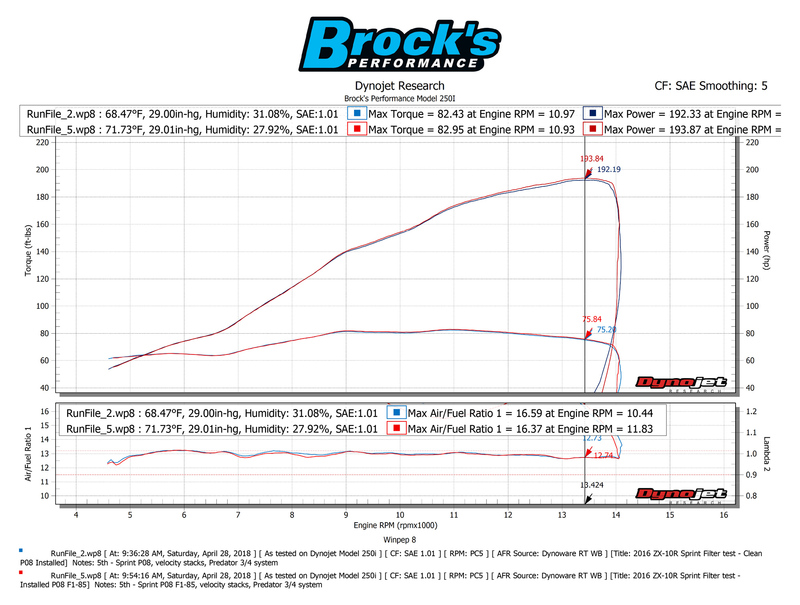 This 2016 ZX-10R now has 11K miles and we recently measured the HP at 192 RWHP ( see dyno chart here) – it made slightly less power with 100 miles when new, so if it has any issues, we certainly can’t tell. He is now testing the P08F1-85 and we will measure HP again in the fall.